First, death came for Larry, the 15-pound, 100-year-old lobster who died on his way to freedom. Now it’s come for Big Lobi, a 22-pound monster who died shortly after he was released into the wild in Chatham, Massachusetts. The Cape Cod Times reports that Big Lobi—named after Red Sox designated hitter David “Big Papi” Ortiz, of course, because this is Massachusetts we’re talking about—was discovered lifeless on Saturday by Ray Wilkes, who had just returned from a fishing trip. “I was paddling back in a dinghy and saw a large thing over there in the muck,” he said. That “large thing,” unfortunately, was probably Big Lobi, according to Cathrine Macort of the Center for Coastal Studies. Her reasoning: Just two days before, brothers Chris and David Schmidt of New Jersey purchased a massive, 22-pound lobster at the Chatham Pier Fish Market. 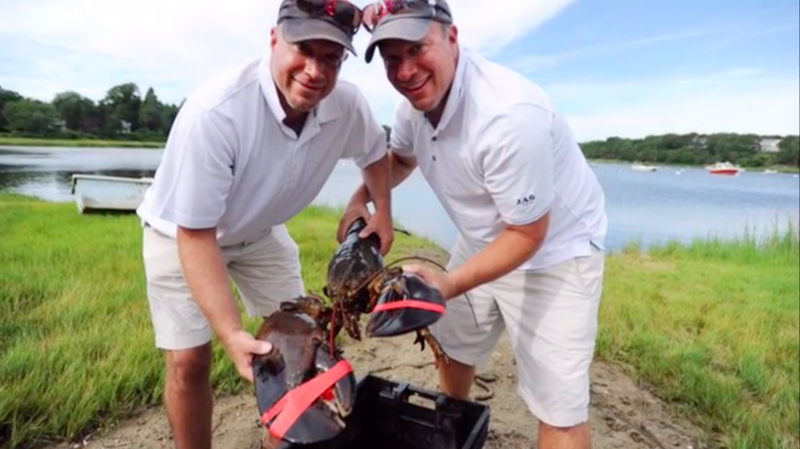 The brothers initially “joked about freeing the lobster but then decided to really do it,” according to the Cape Cod Times. “You take an animal that’s acclimated to cold water and you put it in warm water like you have in Ryder’s Cove [where he was released], and it can cause a lot of physiological stress,” Owen Nichols, director of marine fisheries research at the Center, said. After they released him, the brothers Schmidt had said Big Lobi “walked away pretty fast”—directly into the cold, lifeless claws of death, it seems. Fortuntely, Big Lobi’s large, dead body will be put to good use. [Wilkes] gave the lobster’s body to Jenny Bovey, a local artist and owner of Blue Water Fish Rubbings, who uses dead sea creatures to make prints for clothing, accessories and tapestries. Bovey will create a rubbing of the lobster to donate to Best Buddies, a nonprofit dedicated to helping children with intellectual and developmental disabilities, to be auctioned off at one of the group’s fundraisers. Big Lobi isn’t even close to being the first creature to die after coming into contact with well-meaning but clueless humans. Larry the lobster, various seals, and a bison calf from Yellowstone National Park all met their ends this year after humans interfered.